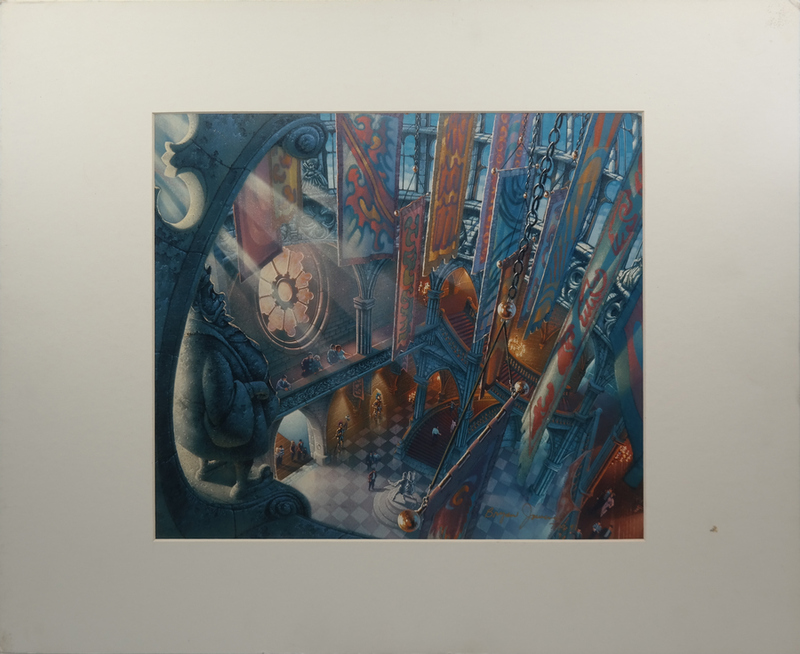 This is a print of a concept design for the interior of Le Chateau de la Belle au Bois Dormant at Disneyland Paris. 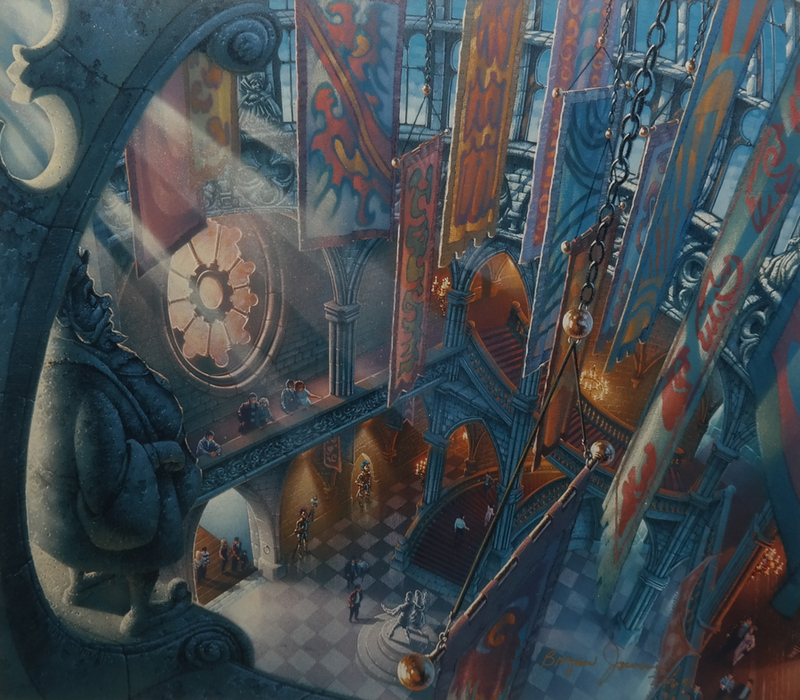 This print of Paris' version of Sleeping Beauty's castle was created by Bryan Jowers and is signed and dated by the artist in the lower right corner. The print measures 16" x 20" matted with the mat opening and print image measuring 10.5" x 12".